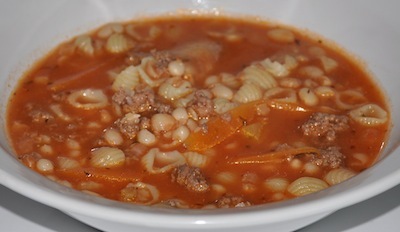 This Pasta Fagioli Soup recipe is a great meal loaded with healthy vegetables. You see this type of soup served often in Italian restaurants. In large soup pot, add oil, onion and beef. Sauté until beef is browned. Drain excess oil out of pan. Add carrots, tomatoes, beans, beef broth, oregano, spaghetti sauce and pepper. Simmer 5-10 minutes then add in pasta. Continue to simmer until pasta is tender and vegetables are done. 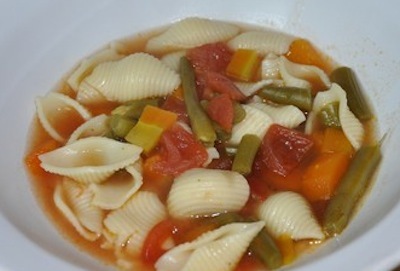 Make this vegetable soup with whatever vegetables you have on hand and add canned beans if you'd like. Add beef broth, tomatoes and vegetables in crockpot. Stir in salt, pepper and Italian seasoning. Cook for 6-8 hours on low. 30 minutes before serving add in your uncooked pasta noodles. Serve immediately thereafter. 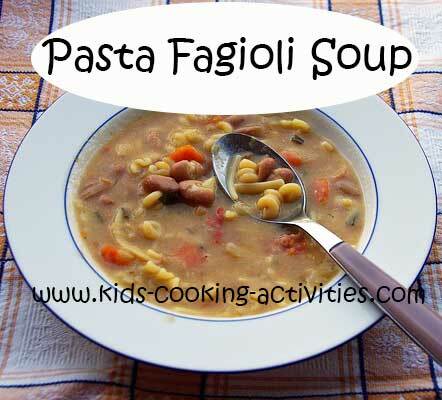 Do you have a pasta soup recipe to share?